Of all the tools in your arsenal, the heavy duty plunge router probably is the most versatile. There are few jobs that you cannot accomplish with a good router and every workshop, job site and every timber framer should have at own least one. If you aren’t overly familiar with routers, there are basically two types — fixed base and plunge routers. Fixed base routers are used to work the outside of material and create a detailed or molded edge, such as creating chamfers. These can be hand operated or mounted under a table to create a work station. Plunge routers give you the ability to make housings. Many timber framers like the versatility of having one of each. But when deciding on the right tool for you, consider the type of work you want to accomplish. When it comes to routers, it’s all about having the right tool for your individual needs. These 3-plus HP routers can handle commercial work or be a powerful tool for a homeowner to use. 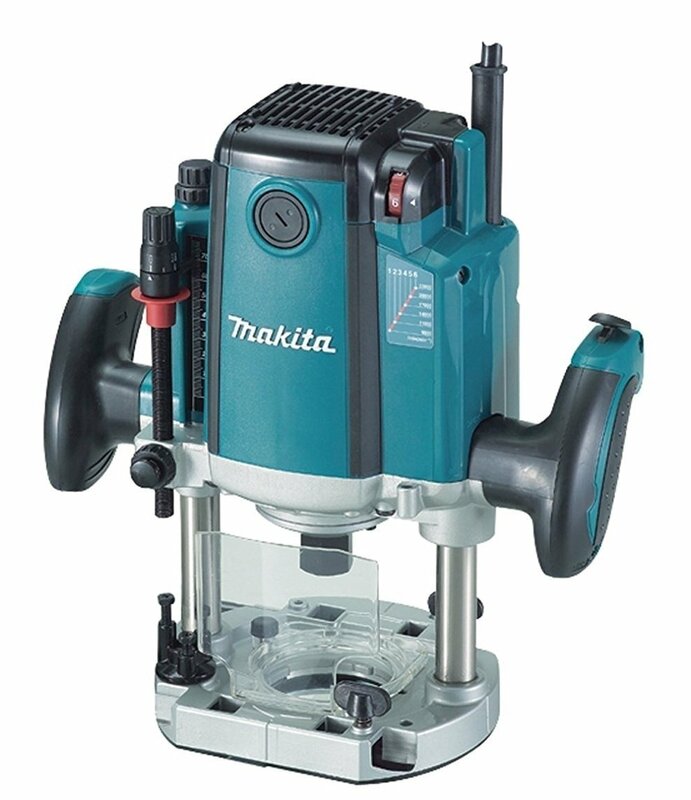 This Makita 3.25 HP plunge router is designed to produce a single speed of 22,00 RPM and reaches a max depth of 2 ¾ inches with ¼ and ½ inch shank bits. In terms of the professional timber framers use, it’s great. For homeowners, it will exceed expectations. This Makita plunge router gets high marks for its conveniently located power switch and plunge lever lock. Its trigger and locking mechanisms are perhaps the best design aspects. The two finger, handle-mounted devices allow for easy locking, plunging and continuous use. It has several user-friendly conveniences that include the handles having a slight lean for better ergonomics and are rubberized for firm grips. It also enjoys three preset depth settings and a chip deflector. The extended knob depth control helps streamlined use when mounted under a fixed table. This Porter-Cable has what timber frame professional's may be looking for in a fixed router. It features five speeds ranging from 10,000 to 21,000 RPM. That comes in a tad lower than the Makita, but it addresses the practical challenges of knotted and wet lumber with rugged torque ability that holds up nicely under stress. Its soft-start technology allows you to ease into rips without binding or jolts. These are keys for professionals that need tools to operate under less than enviable conditions during long rips. Some of the negative feedback about this tool includes loosening bits under continual use and it can heat up and make handling difficult. On the positive side, the sturdy design and strong handles make it a serious tool. The ball bearings are well sealed so that dust doesn’t inhibit lasting ability. As routers go, it trends on the larger side. That may not make it the best tool for do-it-yourselfers. 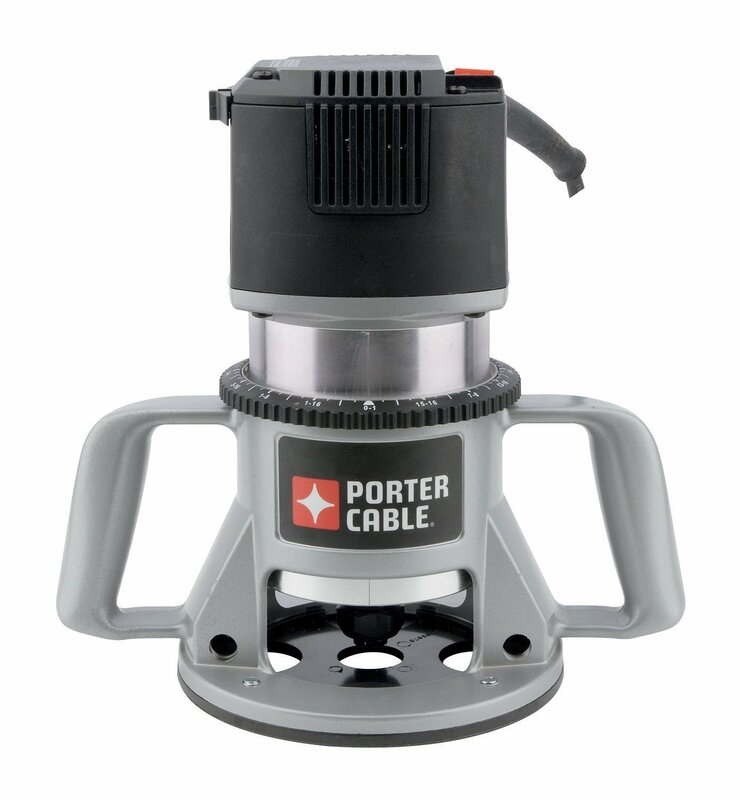 This Porter-Cable is a tough customer meant to stand up under commercial conditions. 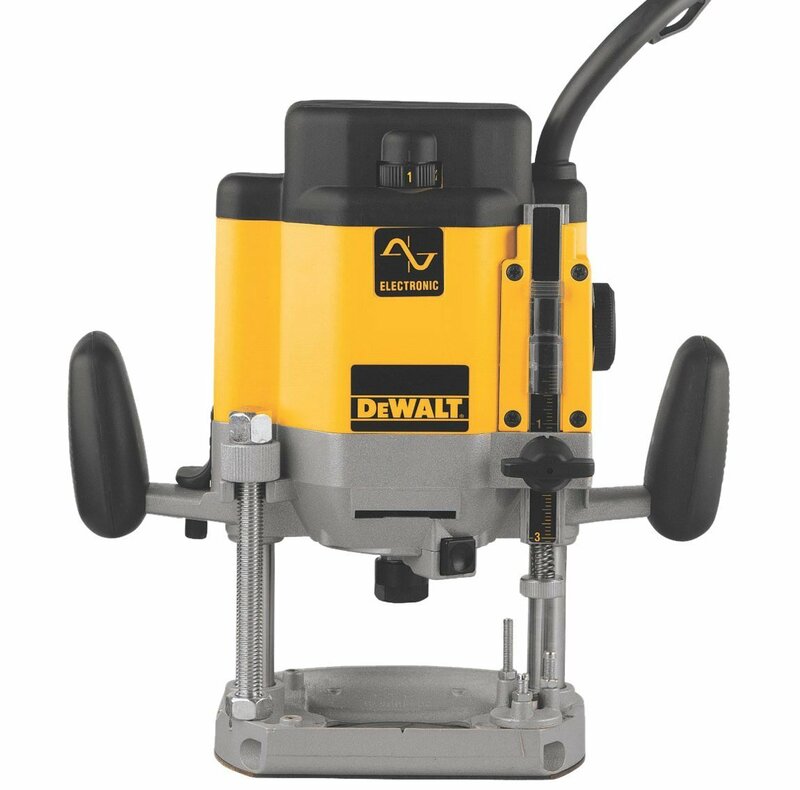 This DeWalt plunge router pulls 3HP and a full range of variable speeds from 8,000 to 22,000 RPM. It features soft-start technology for easing into rips and plunges. The rack and pinion depth adjuster is simple to manipulate and it sports magnified measurement guides. The base has a one straight edge and dust collection functions. The handle and trigger setup may not be optimum. Neither measures up to the convenience of the Makita RP1800 and its 2 ¼ max depth plunge is a tad shallow for a commercial-grade tool. It also comes up short in other ways. The motor is loud and the handle placement is awkward, especially for long rips. And, the plunge-lock lever isn’t spring loaded. DeWalt products tend to be industry leaders and this manufacturer has other routers that earn excellent reviews. 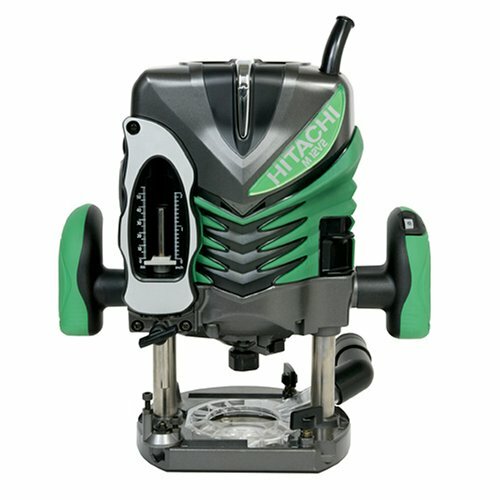 This Hitachi plunge router produces a strong 3 ¼ HP while employing soft-start technology to ease into rips. The speed variable dial allows users to run between 8,000 and 22,000 RPM and acclimate to dense and light materials. It has more than ample speed and torque for commercial use. The base design includes a one straight edge side and a dust guide to repel debris. It manages a 2 9/16 plunge, which is better than others in its class. The depth measurements are easy to read and maneuver at grip height.